Holey doesn't even begin to describe my soaker hose. I know, it's full of tiny holes so the water can slowly leak out and water the garden, but it's a bit more than that. I didn't use my soaker hose last year; when I pulled it out of the shed last spring I realized it had a huge gash in it. So it sat coiled up in a corner of the garden for a year until this spring, when I decided I'd repair it. This post contains affiliate links. You can read my complete disclosure here. 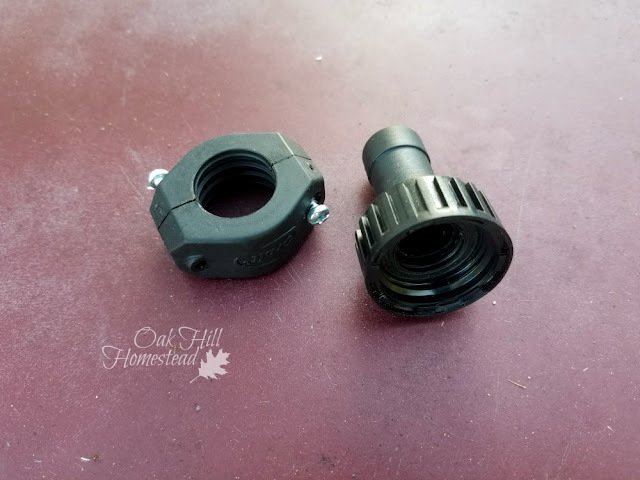 There are several types of hose repair kits: one has a metal piece that goes inside the hose and metal hose clamps to tighten, like the one in the above photo. 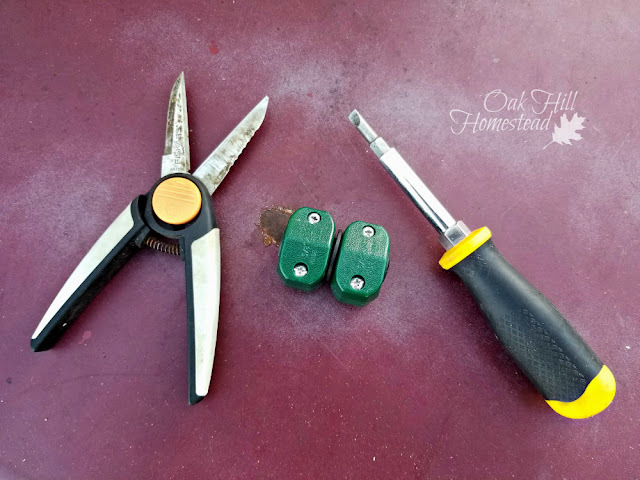 Another, like the one above, is plastic with clamps that tighten with screws (this is what I used); a third type looks like this plastic one but with metal pieces instead of plastic. All three work the same way. Umm, yes, those two pictures are of the same garden hose. It's been repaired in two places. The first step is to figure out what size hose repair kit you need. I had some on hand but after struggling for awhile I realized I was trying to use a repair piece that was bigger than the hose it was supposed to go in. I needed a half-inch repair kit instead of the 5/8" I had on hand. Save this post on Pinterest for future reference! Just click here. 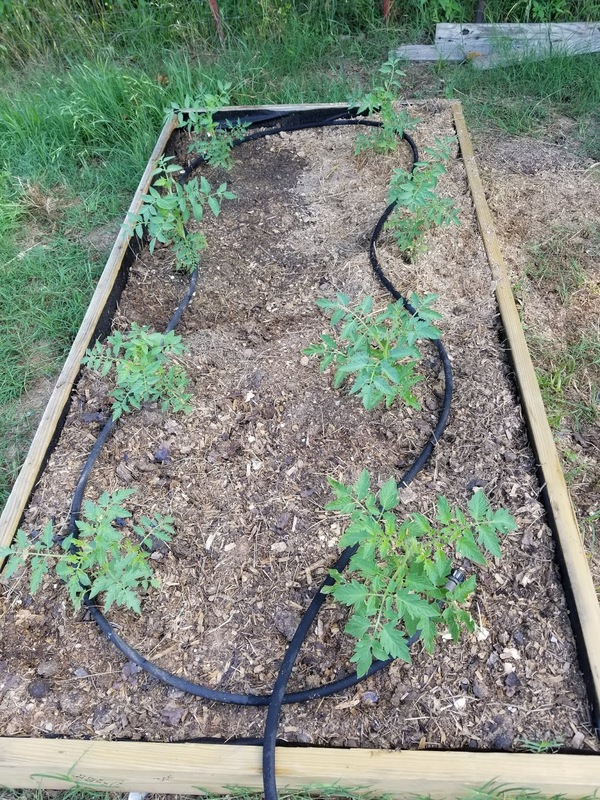 I decided that instead of repairing my hose so that it would be one long hose as it had been originally, I'd turn the long piece into a soaker hose for the tomato bed, and combine the two shorter pieces into a second hose for another of my raised beds. The long piece had a fitting on one end that screws onto the faucet (known as a female end); the other end was the broken end, so it didn't have a fitting. One of the shorter pieces of hose had been in the middle of the original hose, so it had no fittings on either end. The third piece of hose had a smaller fitting (known as a male end) with a cap that closed off the end of the hose, kind of like a screw-on lid on a pop bottle. That would give me two soaker hoses, both with a female end and a male end with an end cap. One hose would also have a repair in the middle. Amazon carries a package with both the male and female ends included; they also offer packages with multiple pieces, not a bad thing to have on hand in my opinion. 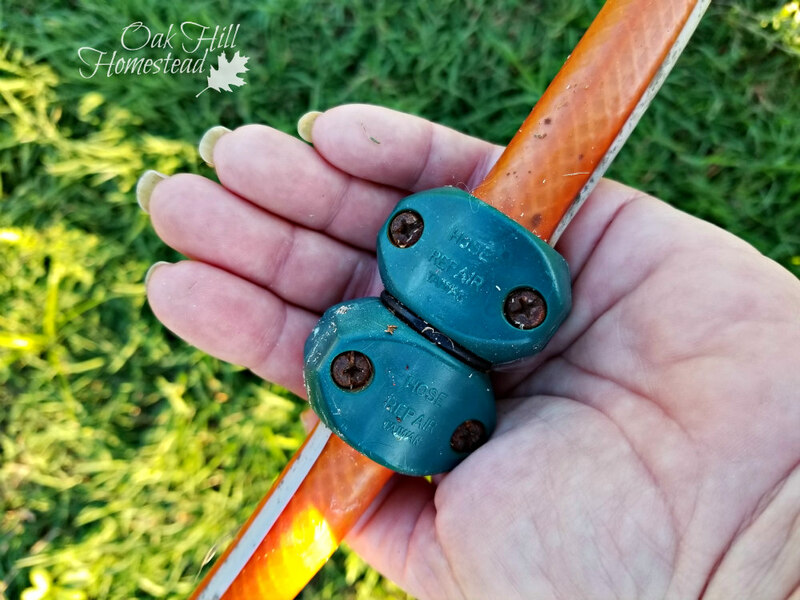 This link will take you to Amazon's 3/8" hose repair items if that's the size you need, and this one to their 5/8" hose repair items. (Those are all affiliate links.) Be sure to check the size of any item you want to order; sometimes they end up in the wrong section in Amazon's search system. In order to buy the end cap, I had to buy a package with the cap, a filter and several hose washers. Are you ready to fix that hose? 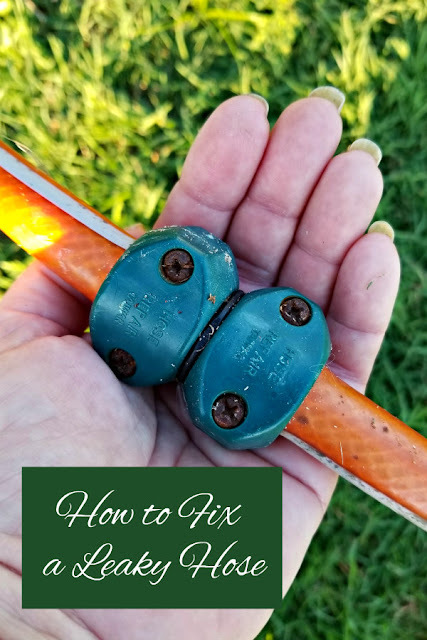 If your hose just has a hole in the middle, you'll be joining two pieces together and will need a coupler, which is often just called a hose repair kit. Start by cutting both ends that you'll be joining together. (I split one end of the hose when I tried to put it on the too-big repair piece, so I had to cut a little off the end of that one.) 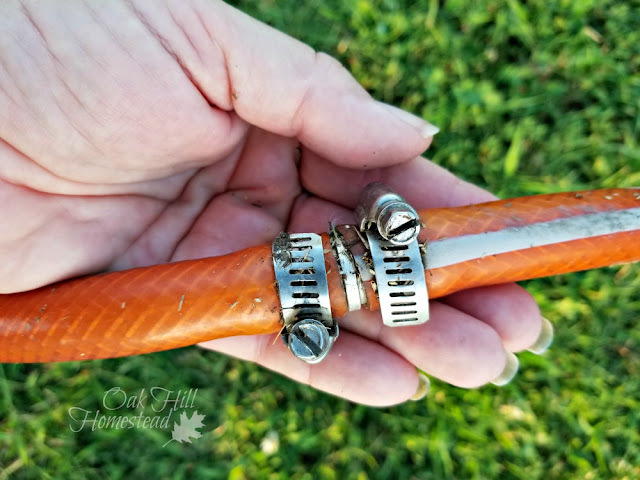 If your hose just has a hole, cut the hose into two pieces, removing the little slice with the hole in it. The cuts should be straight and clean, not jagged. You don't need to remove the screws completely; just open the clamp enough so you can slip it over the hose easily. 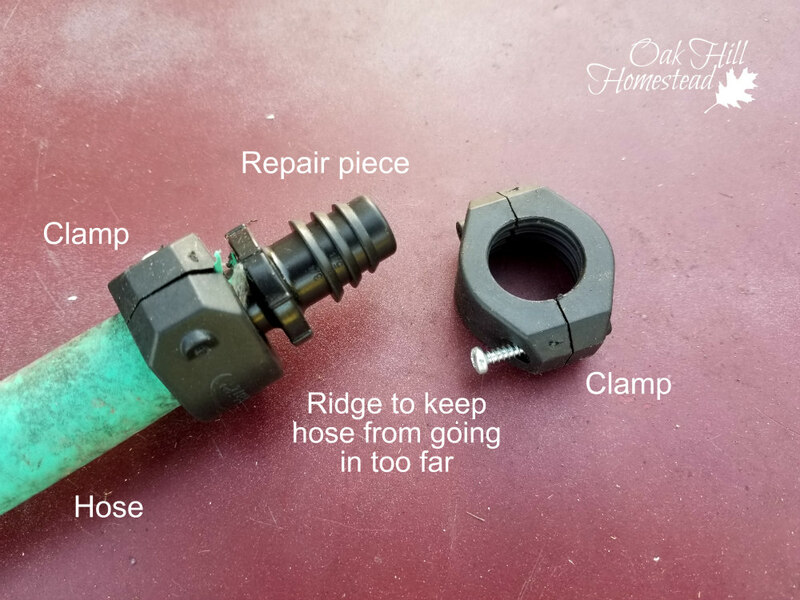 Put one clamp piece onto one piece of the hose. Don't tighten it yet, just let it "hang out" on the hose. Insert the repair piece - the part that looks like a plastic pipe - inside the end of the hose. 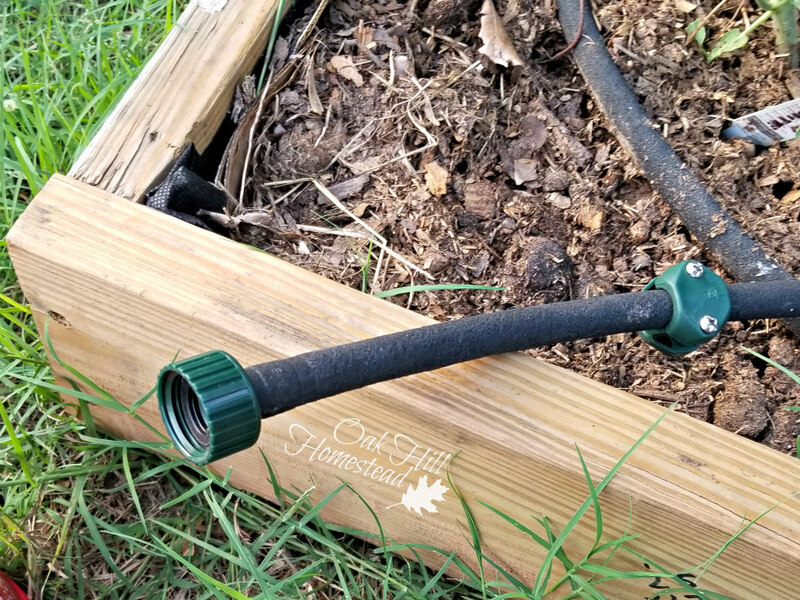 If you have trouble, you can put the end of the hose in a jar of hot water until it softens up a bit, or let it sit in the sun on a hot day for awhile before you start. Just wiggle the repair piece in there. Get it as far on the repair piece as you can. There's a ridge in the middle to stop the hose from going too far. Now move the clamp piece up over the repair piece, with the hose sandwiched inside. Use the screwdriver to tighten the screws on the clamp. You can alternate working on the screws: tighten this one a bit, then tighten that one a bit, then back to the first one again. Viola! You're half-done. Now repeat the steps on the other piece of hose, remembering to put the clamp on the hose first and let it "hang out" while you fit the two hose pieces together with the repair piece inside both hose pieces. Then slide the clamp on top of the repair piece with the end of the hose inside and tighten the screws. If you are putting on a hose end, either male or female, the process is similar. Put the clamp on the hose first, insert the end of the fitting inside the hose, move the clamp on top and tighten. If you are putting an end cap on the end of the hose, just screw it onto the end like putting the top on a pop bottle. then slide it up against the fitting and tighten the screws. See, it wasn't that hard, was it? It would have taken less time to show you how to do it in a video, but my rural internet wanted to take two hours to upload my 3-minute video. I decided to stick to the written word and photos. Maybe some day I'll find myself somewhere with lightning-fast wi-fi and be able to add the video to this post. Until then, if you have any questions about my directions, contact me and I'll try to help! I didn't know you could repair hoses! I will definitely keep this in mind to save money once we buy land and get a garden going again. Thank you for sharing! You sure can repair them! 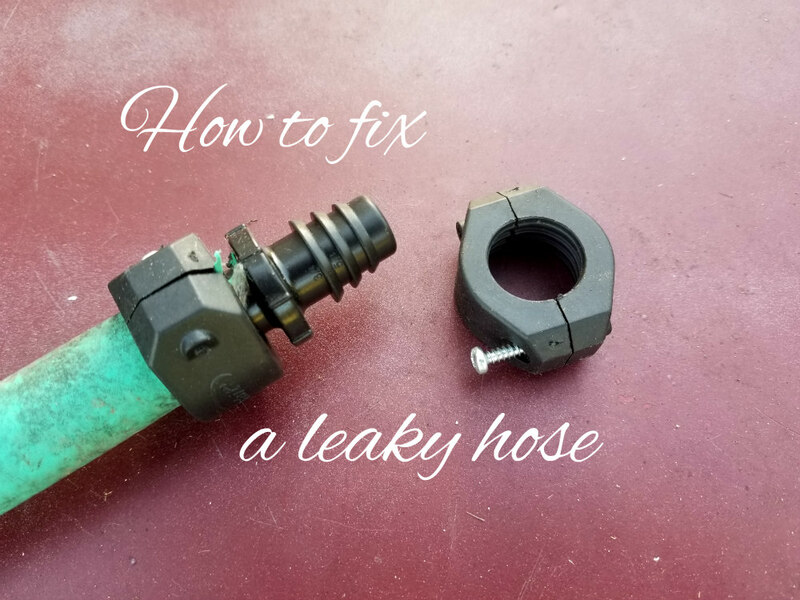 The repair pieces are much cheaper than buying a new hose, and when you do eventually replace the hose, you can save the repair pieces for future use! This is always handy information to know, hoses are expensive and we like our handy fixes. Found you on Simple Homestead Blog Hop. I'm glad you stopped by; I always enjoy the posts you share. Good info...my hoses take a lot of abuse. This year I had to buy a new one because one was in such bad shape. I decided that I need to take better care of them! I've seem the repair kits but haven't tried them yet, thanks for sharing! Hoses can be so expensive, Kathi, it's wonderful to know how to repair them! Thank you for sharing this excellent, practical and frugal post with the Hearth and Soul Link Party. Sharing on Twitter and the H&S Facebook page. Have a lovely weekend!